Units can have numerous flavors and flavor shots. 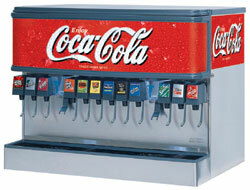 You can add ice chippers and dispense two types of ice. Automatic Agitation with Software Selectable Frequency and Duration. Portion controls and many other add-ons. 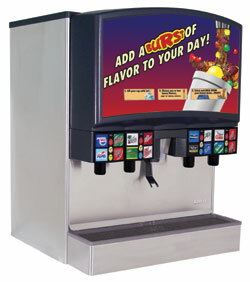 The Ice Combo or Ice and Beverage Dispenser (IBD) is the preferred dispenser for customer self-serve use. 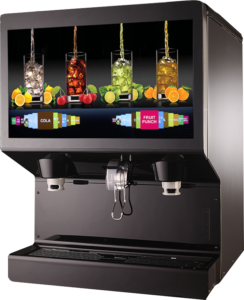 The industry standard platforms for an Ice Combo dispenser comes in 22″, 30″ and 44″ width Dispensers.